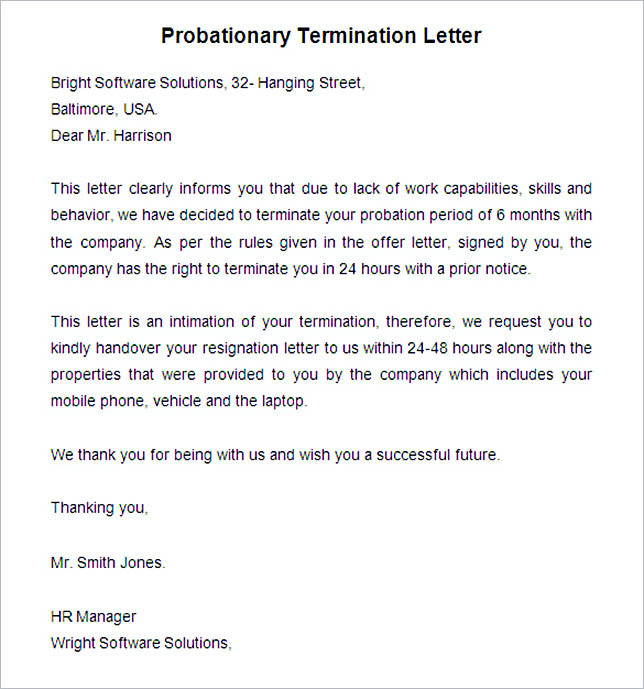 A termination letter is what the employers need when they have to fire an employee, be it with or without any cause. 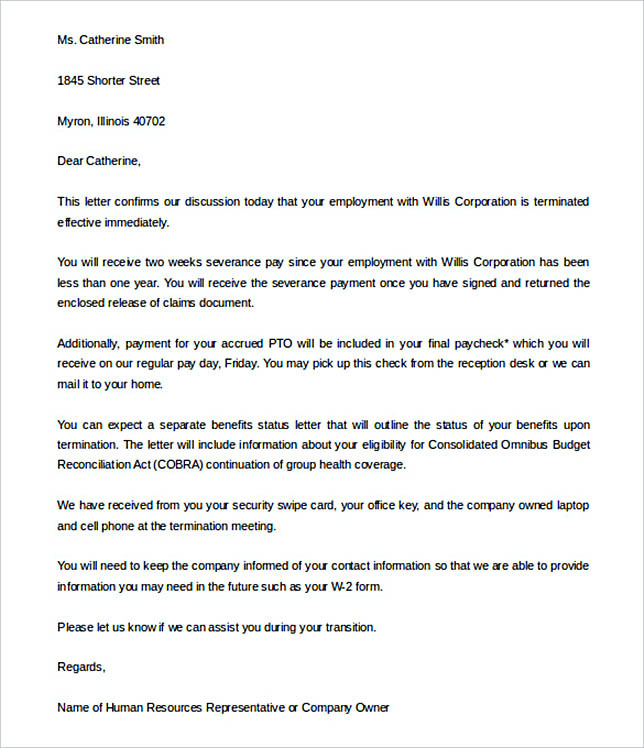 In general, the letter confirms all the details related to the firing and summarizes all the information the now former employee will have to know. 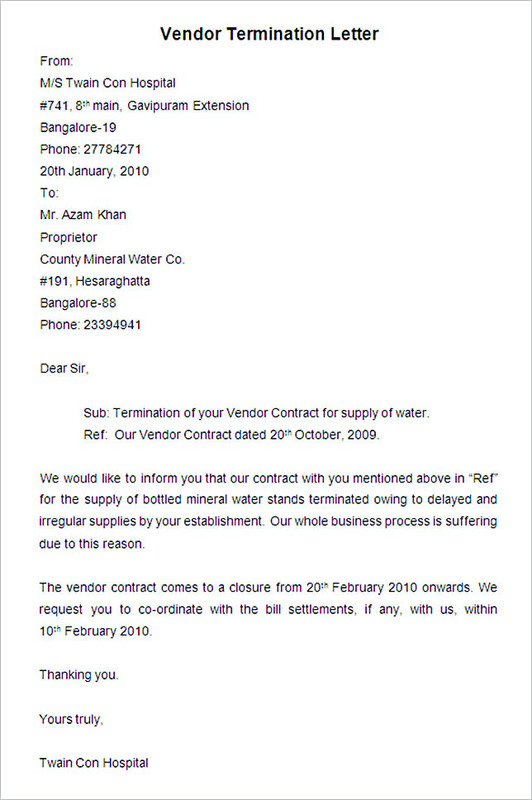 This letter consists of some information as follows. 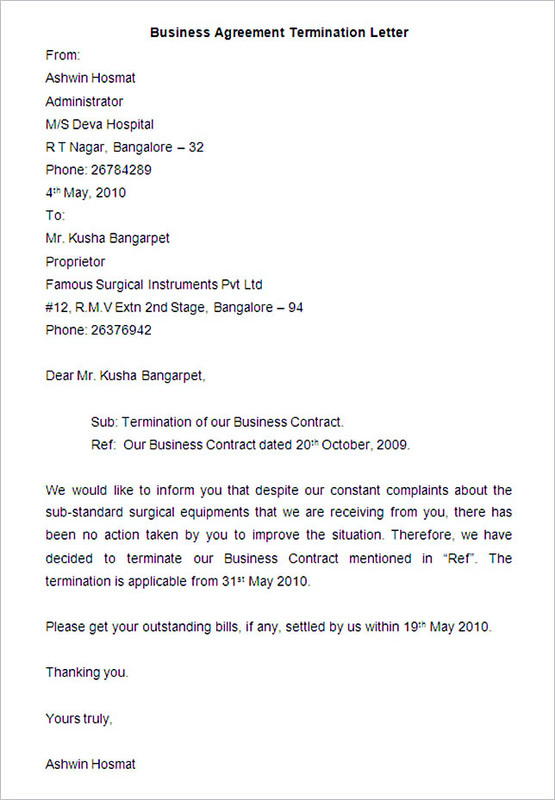 The simple termination letter is one of the different types of this document, which is more direct and simpler. 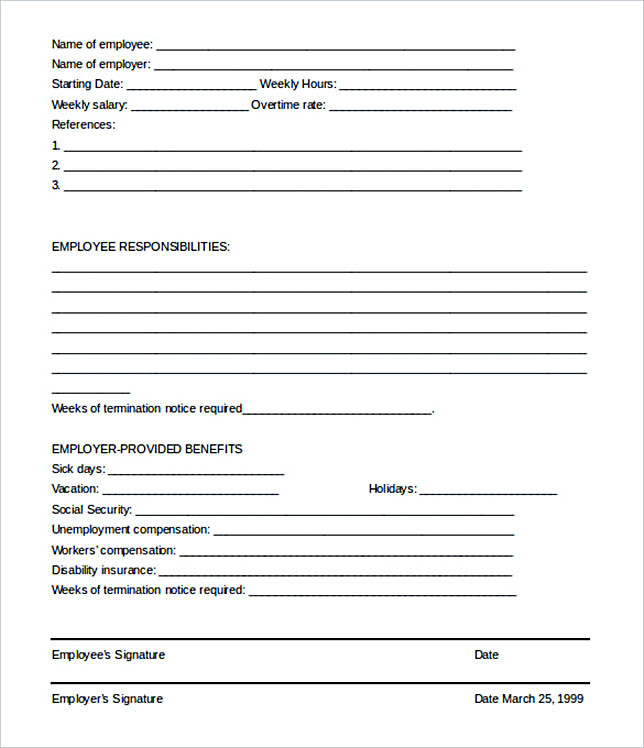 Employers can use this type of material in most instances when they allow an employee to go. 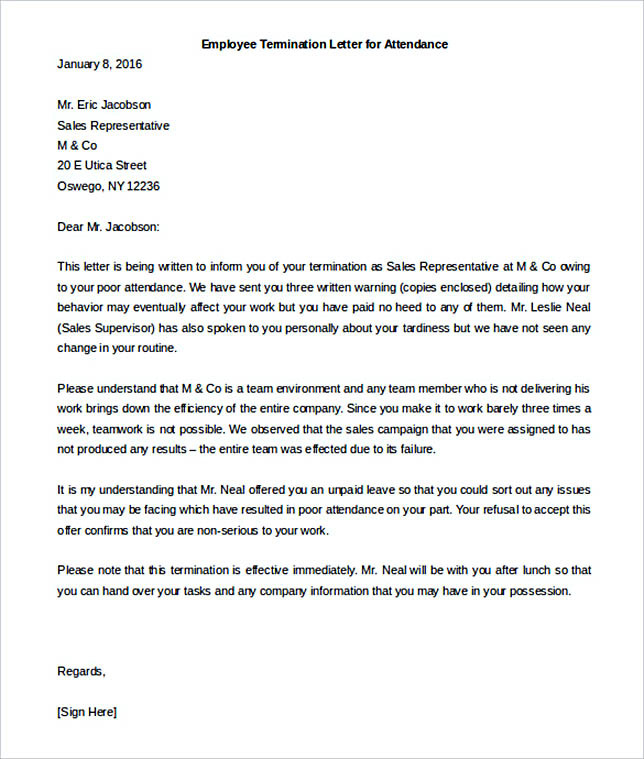 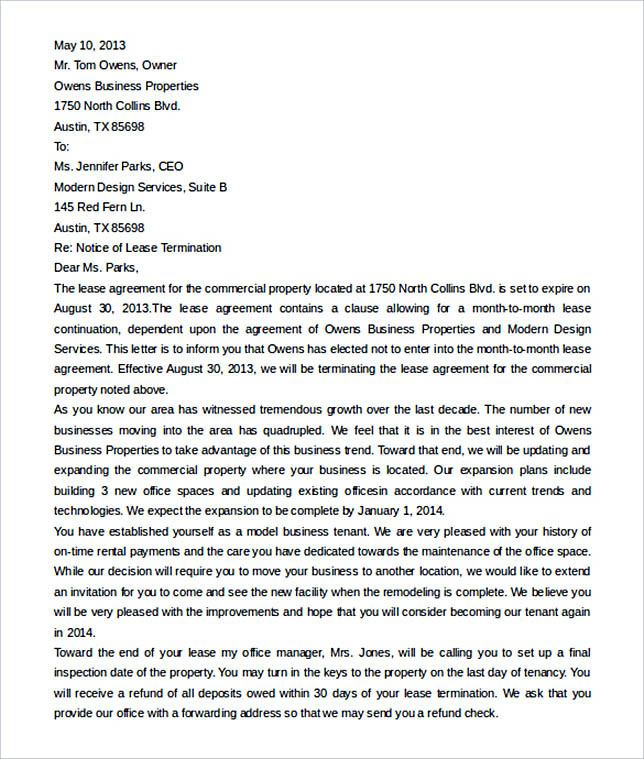 Of course, the letter has to be printed on company stationery, although it can be either mailed to the now former employee’s address or handed to him or her at a termination meeting. 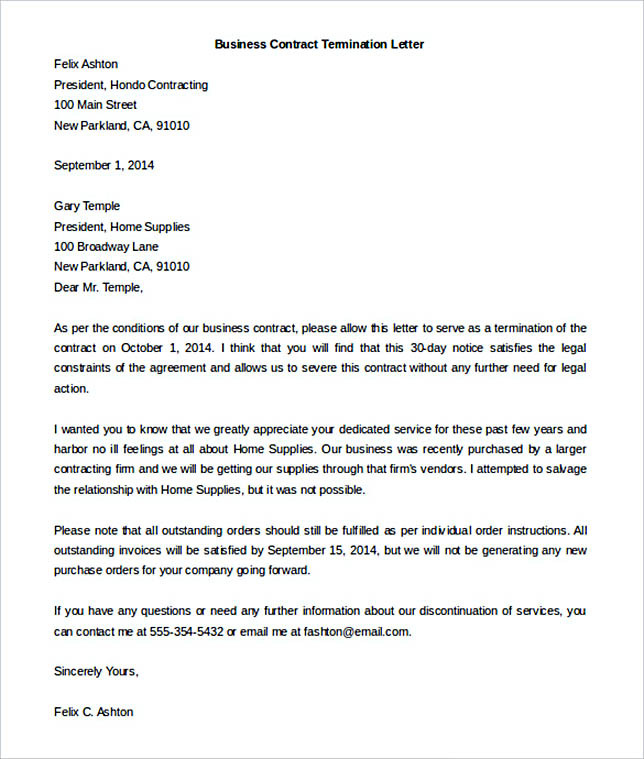 If it’s mailed, a signed return receipt is recommended. 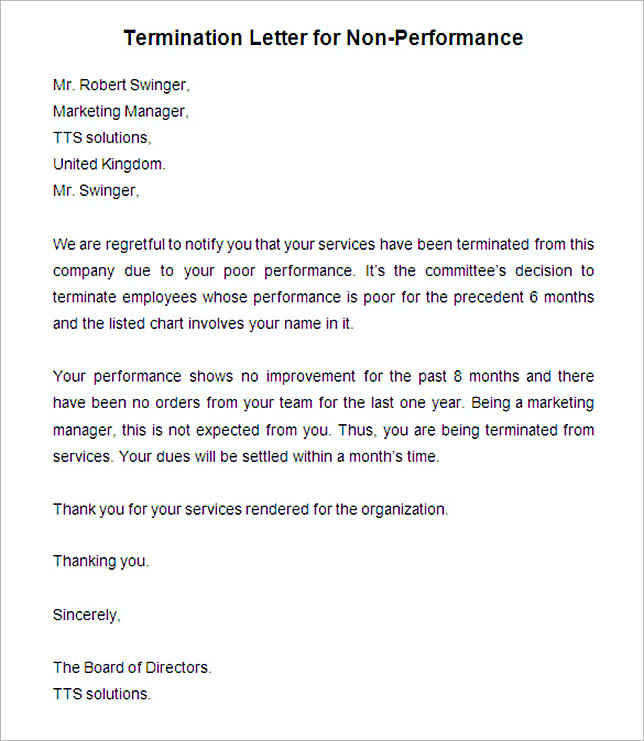 Typically, this simple and basic termination letter doesn’t state why the employee is terminated when no reason is stated during a termination meeting. 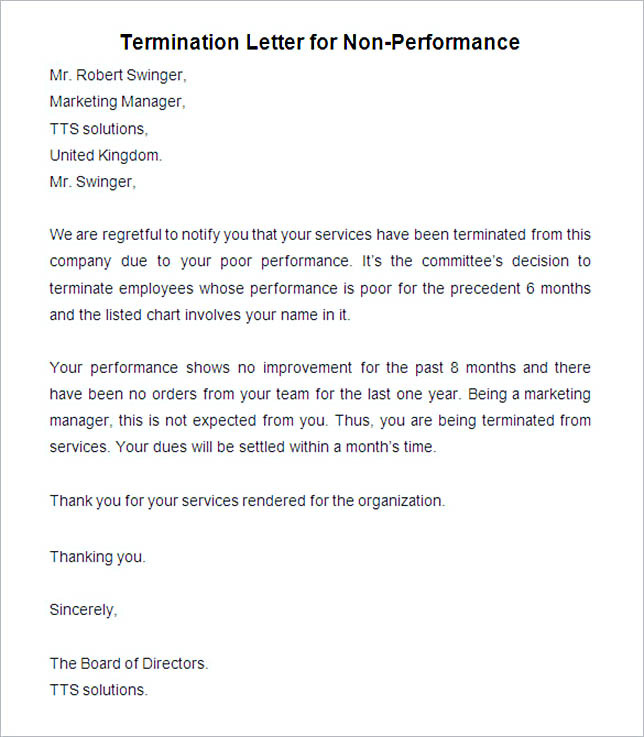 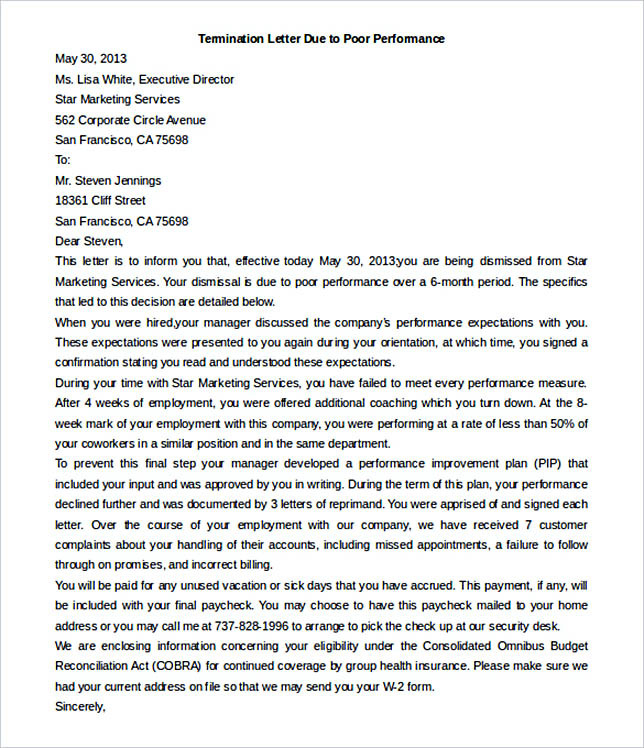 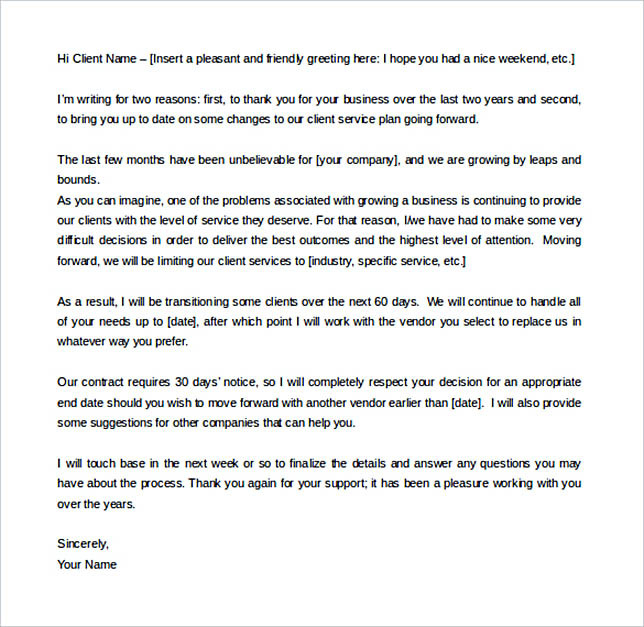 Even though it sounds unfair, in fact many companies are using this kind of letter. 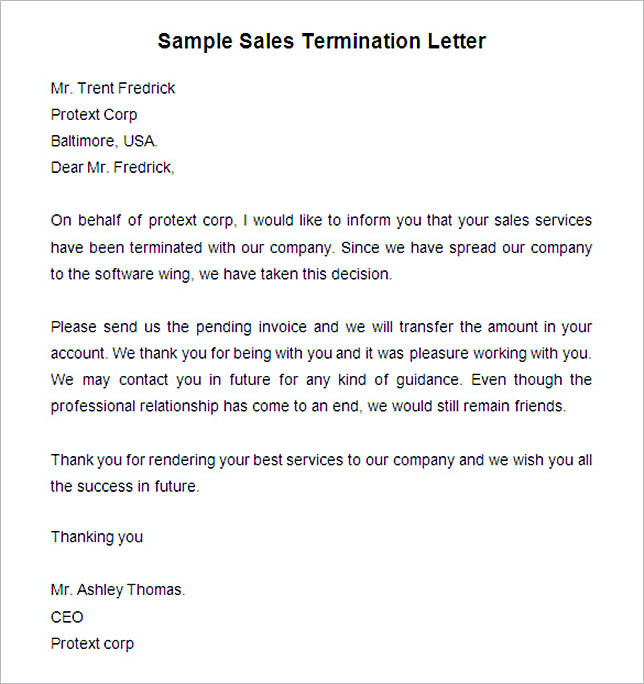 Meanwhile, if the employee is fired or laid off for cause, the sample termination letter for cause will show you the difference in these two situations. 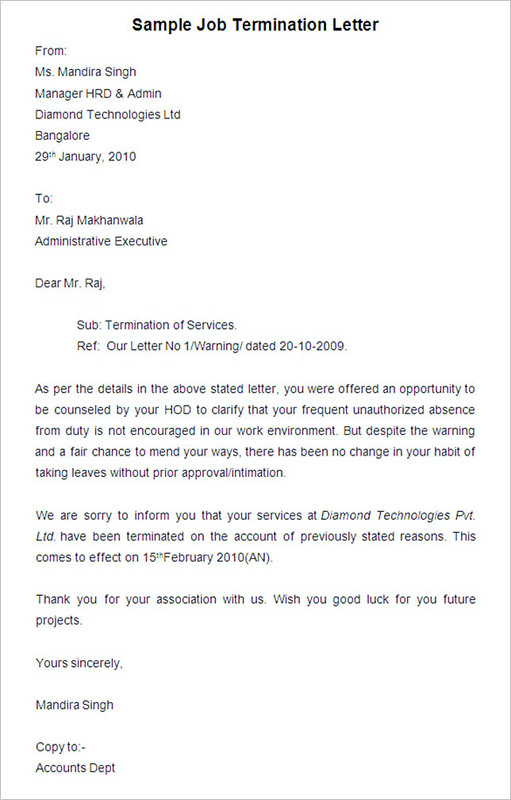 If the employee is fired or laid off for a cause, a termination letter for cause is the use to use by the employers. 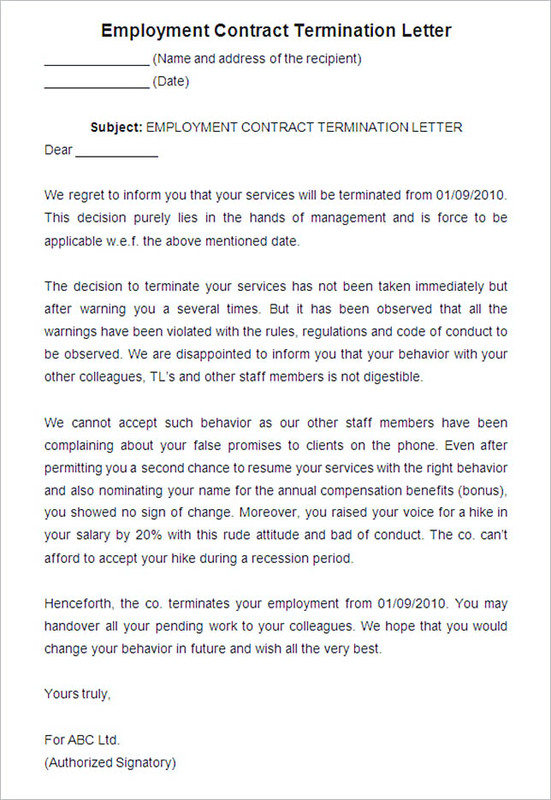 Contrary to the simple counterpart, the one for cause states the reasons for the termination and confirms the end of the employment relationship. 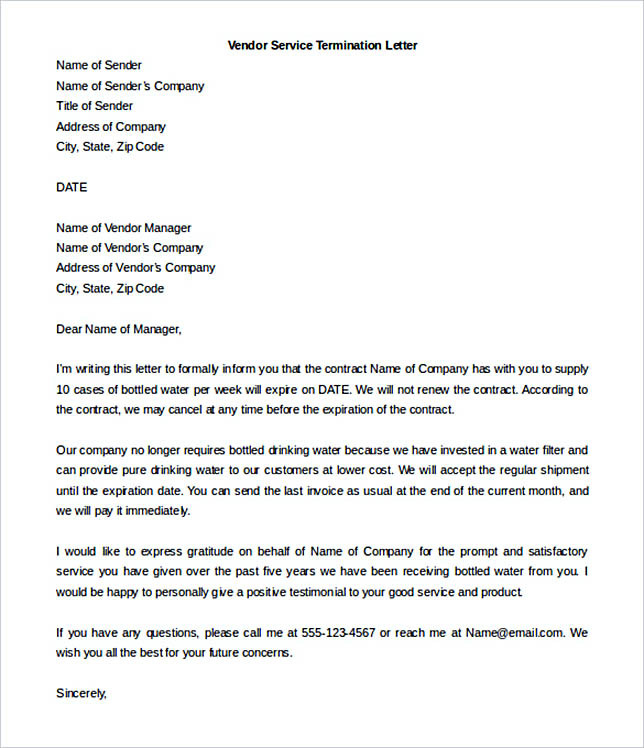 Just like the simple letter, this one can be either mailed after a termination meeting with a return receipt requested, or handed to the now former employee directly at the end of the meeting. 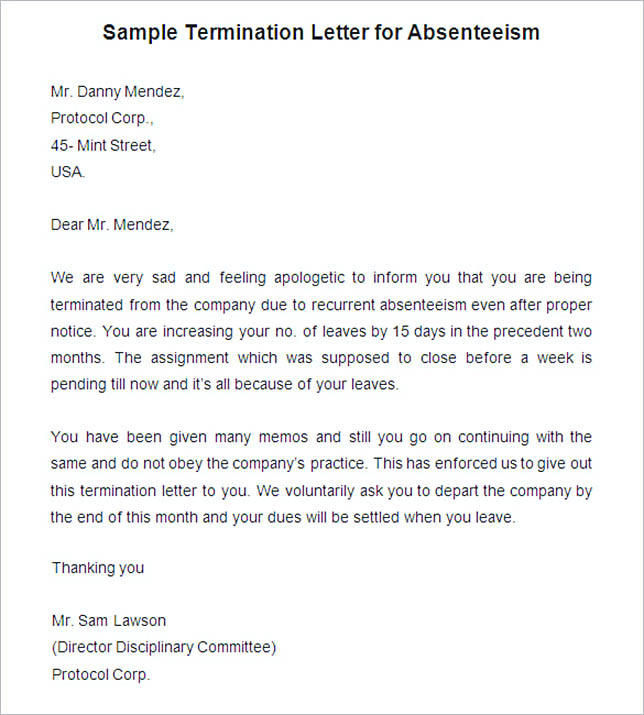 The termination meeting itself is to be held by the supervisor or manager and a representative from HR department with the employment.